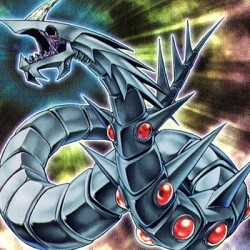 Once per turn, you can equip this card to a "Cyber Dragon" you control, or to a Fusion Monster you control that lists "Cyber Dragon" as a Fusion Material Monster, OR unequip it to Special Summon this .. This card cannot be Normal Summoned or Set. This card cannot be Special Summoned except by removing from play 1 Insect-Type monster from your Graveyard. When this card inflicts Battle Damage to your o..